Ok, since I've introduced myself already, let's get started on some info that may help you in the short term. The main reason most of you are probably reading my blog is because you're researching the possibility of becoming a truck driver, obtaining your CDL , etc. And understandably, you're using the internet to do the majority of your research. Not only does the internet provide a quick and easy way to research things, but there is so much information out there that it can keep you busy for years! It can even be overwhelming at times.But is using the internet the best way to do your research? Well, in my experience, yes and no. Why All The Negativity Surrounding Truck Driving? When I first graduated college I briefly considered becoming a truck driver. One of the reasons I quickly decided against it is because of all of the negativity I read in various forums and blogs. There seems to be a ton of negativity in the majority of the trucking forums I've been to. I've read about how bad all of these trucking companies are, especially the entry level companies. It seems like for every positive post about a company, there are 10 negatives that follow. After reading the forums, you're left with the impression that there aren't any good trucking companies that you can get started with because there is so much negativity surrounding those companies everywhere you look. I've also read about how horrible truck driving is and how it isn't the dream people think it is. Just a whole slew of things that quickly turned me away from wanting to drive a truck for a living. This has made it very difficult to choose a company to sign up with, and has made me question my decision to become a truck driver quite frequently. Maybe you feel the same way? I think a lot of people do. So, why is there so much negativity? Is the trucking industry really that bad? It obviously depends on each person's individual view. Truck driving, especially OTR ,really requires some lifestyle changes. Some people are better suited for that lifestyle than others, and only you can decide if this is the right path for you. No career is ever right for everybody, and of course, no career is wrong for everybody either. 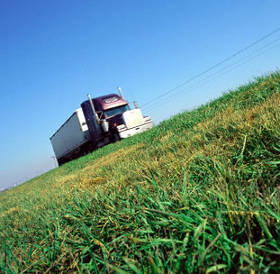 According to the the Bureau of Labor Statistics, there were 3.4 million truck drivers in the United States in 2006. That's a huge number. When you log into a forum, how many of those 3.4 million truck drivers are actually posting on a forum? I don't think it's enough to accurately reflect the opinions of all those drivers. In fact, I noticed that a good number of the drivers posting in those forums are actually disgruntled ex-employees who aren't even truck drivers anymore! They simply want to log on and complain about their past experiences. And if they are still truck drivers, they just want to complain about their past employer. Maybe the company they worked for was a bad experience for them? Maybe complaining about their past employer makes them feel better about switching companies? Remember, the larger the company, the more complaints you will find. And don't expect 50 cents per mile in your first year. Not going to happen. You have to prove yourself first. So when you find new drivers complaining about the pay, just disregard it. During my research, most of the "starter" companies pay about the same. When you get some experience, then you can take pay into account as companies vary widely in pay after you've built up some experience. But first things first, you have to start at the beginning. When things are going well in somebody's career, they generally don't log into forums to let everyone know how much they love their job. And in fact, the few times I have seen individuals post how much they love their career as a truck driver, those drivers are quickly shut down by rude comments such as, "Ok, super trucker," or "I smell a recruiter," and other comments that quickly drive those people away from forums. Pay close attention, you'll see what I mean. Those who are actually happy with their career in trucking are often times not welcomed in forums. So why should they stick around? The only ones who are left are the people who complain. As an example, check out jobvent.com. This site is not specific to trucking and is in no way connected to this website or myself, but will help prove my point. Jobvent.com is a site that people can log into and rate the company they work for (in any industry) and post comments, good or bad. I stumbled across this site during my research into careers outside of truck driving. Take a look around at the companies that are fairly large and have a good number of posts. Do you notice a trend? The negative posts far outweigh the positives. It's not even close! Now consider the personality of most truck drivers. Those who are OTR are usually alone for the majority of the day. Many are a bit introverted like I am. I don't think most truck drivers who are happy with their career are the type that frequently log into forums and yell to the world how much they love their job. It doesn't fit the personality of most truck drivers. And as I mentioned before, the people who do post about how great their career is are often treated very poorly. Have you ever had a job that you enjoyed, at least for a little while? Assuming you have, did you log into a forum and tell everybody how much you enjoy it? My guess is most of you will answer "no." Add to that the fact that most current truck drivers don't hop on the internet very often. And when they get some downtime, they are more concerned with relaxing after a long day of driving. Many still don't have laptops on the road with them, although a growing number of them now do. When they get some home time, they are more concerned with visiting friends and family, not staring at a computer screen. So the point of all this is to take forums with a grain of salt. Understand that you will mostly read negative comments from unhappy people, but that doesn't mean it necessarily reflects the opinions of those 3.4 million employed truck drivers. So How Do You Find Out If Life as a Truck Driver Is Really For You? Am I saying you should quit using the internet for research or ignore the negative opinions? Hell, if that were the case, I'd be telling you not to read my blog! I think it's actually very important to read the negative comments and opinions. 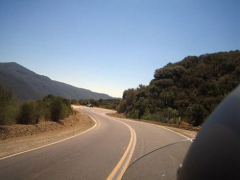 Many people decide to become truck drivers because they only focus on the positives (the open road, traveling, etc.). It seems like those are the people who become disgruntled because they didn't get a realistic picture of life on the road. On the forums I see so many current and past OTR truck drivers complaining that they don't get home very often. Geeze, I could have told them that! With any career there will be good points and bad points. It's important to know both, and to understand how any career will fit you as an individual. But by the same token, one of the best ways I've found to gather valuable information about life on the road is to go to a truck stop! Seriously! Truckers are alone the majority of the day and in my experience, when you explain to them that you're looking at getting into the industry and just want to ask them a few questions, they open right up and are more than willing to help, provided they aren't pressed for time. 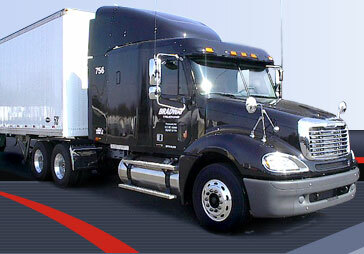 Most of the companies that take recent CDL grads are larger companies with well marked trucks. Go find those truck drivers at truck stops. Ask them questions and see what they have to say. I think you'll be surprised at how much information they are willing to share. Sometimes you'll run into a trucker who will tell you to stay far away from the industry. Other times, they'll encourage you to join up! I've found the latter to be more common. The ones who truly enjoy their job are the ones that are fun to talk with. You can see and hear the passion when they talk about their career. A word to the wise though, if they try to give you their name and truck number, be a bit leery. Most companies offer large incentives for driver referrals. So if they want you to mention their name on an application, simply tell them that you're aware of the referral bonus and that you're looking for honest opinions about their company and the industry in general so that you can decide whether or not it's the right thing for you. I hope I've helped put things into perspective. My advice is to keep using the internet, but also get out there and talk to drivers one on one. I know it can feel a bit uncomfortable to do this at first, but trust me, the benefits are huge! You'll be pleasantly surprised at the responses you get. I promise. Just go to a truck stop with some questions in hand that will get the conversation started, and before you know it, the conversation will flow naturally. People tend to enjoy talking about themselves, and in my experience, truck drivers are no different. Be aware of the fact that truck drivers spend an enormous amount of time alone and most of them welcome the opportunity for a pleasant conversation, especially when it means they get to relate their own experiences to someone who is truly interested. Also, if you're looking for more opinions about truck driving from a positive, yet honest perspective, here is some reading you'll enjoy:Is Truck Driving For Me? Will I Enjoy Life As A Truck Driver? Good luck with your research. It's tough....I know. And if I can help you out at all, feel free to email me or leave a comment. I'll reply to every single inquiry. 34 days left until I start my CDL training, so stay tuned and check back often! Things are about to get interesting!